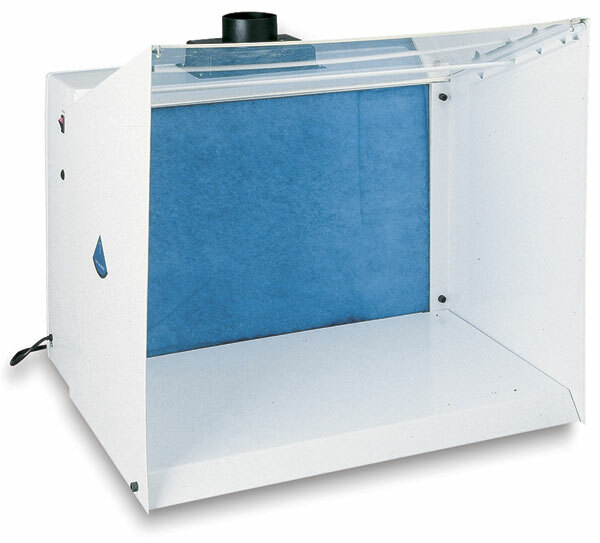 The Uni-Booth is a powerful filtration system for workshops, studios, and industrial situations where fumes and overspray present a problem. 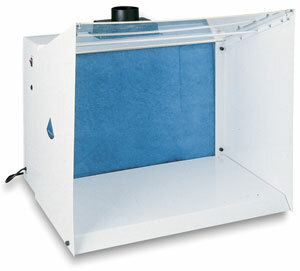 It uses a centrifugal blower/motor with a polyester intake filter for trapping fine particulate materials. A dual-activated charcoal filter is used for greater solvent and odor removal. The booth is made of steel, and has a clear cast acrylic top, allowing light onto the subject to be sprayed. It has a 4-position hanging bar to suspend items for spraying. Easy-to-assemble. A removable polypropylene liner is supplied for easy cleaning. ™ SIMair is a trademark.